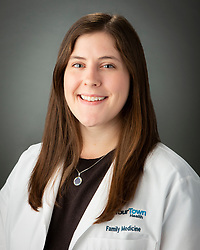 September 17, 2018 – Palmetto, GA YourTown Health is proud to announce that Elizabeth Zarantonello is joining the YTH staff as a family nurse practitioner at the Palmetto office. Ms. Zarantonello is from Bardstown, Kentucky. After graduating from the University of Notre Dame, she received a master’s degree in nursing from Emory University. She became a certified family nurse practitioner and women’s health nurse practitioner. That means Ms. Zarantonello can conduct physical exams, diagnose illnesses, develop treatment plans, prescribe medicine, and more. “I was attracted to YourTown Health’s 40-year history of bringing excellent, affordable healthcare to the community,” said Ms. Zarantonello. “I’m a firm believer that everyone is entitled to great healthcare. I wanted to be part of an organization that honored the dignity in every person who walked through the door, regardless of the ability to pay,” she added. “Please join me in welcoming Ms. Zarantonello to YourTown Health Palmetto,” said CEO Jon Wollenzien. “We’re happy to have her on board and I know you’ll like her,” he said enthusiastically. YourTown Health’s Palmetto clinic is located at 643 Main Street. To make an appointment, please call 770-463-4644. YourTown Health is a non-profit network of six community health centers serving the communities of Meriwether, Pike, Lamar, Carroll, Coweta and South Fulton counties for 40 years. The centers provide access to quality primary care, pediatric care, women’s care, dental care and more, regardless of a patient’s ability to pay. YourTown Health – Your Family. Your Health. YourTown. For more information, please visit www.yourtownhealth.com.